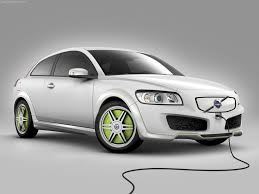 What do you picture when you think of electric cars? Perhaps you think of the notorious Prius or the sporty Tesla. But what if you found out that the first electric car was actually invented in 1832. No, that is not a typo. 1832. Crazy, right? Yes, a Scottish inventor, Robert Anderson, had the idea of electric vehicles long before the gasoline engine was ever created. The only problem was that the batteries he used were not rechargeable. Yeah, big problem. Luckily, inventors persevered and PBS reports that in 1891 William Morrison of Iowa successfully built a practical, usable electric car. Soon after, taxis in New York City used electric cars, and their popularity spread rapidly thereafter. In fact, in 1900, a third of all cars on the road in New York, Boston, and Chicago were electric cars. Well, gasoline is what happened. When Henry Ford discovered the fuel power of gasoline in 1908, electric cars became something of the past. Drivers didn’t want to be limited on the distance they could drive. They didn’t want to have to hand crank their vehicles, and they wanted some horsepower, dang it. And can you blame them? Drivers across the country rejoiced as their vehicles took them to new places with ease. And so life continued for many years. Then, in the 1970’s, people started to see the error of their ways. The Earth’s pollution was starting to reach dangerous levels, and the rise of gasoline made drivers start looking elsewhere. GM was the first motor company to jump on the electric (hybrid) car bandwagon, producing just over 1,000 models of the EV1, which could go 80 miles per hour, 160 miles at a time. Soon after, the Prius was released in Japan, and sold a whooping 18,000 in its first year. That’s when all the other motor companies decided to follow suit. Today, you can find a plethora of electric vehicles from almost every automaker out there. Perhaps the most impressive is the Tesla Model S, which can reach speeds of 130 miles per hour, and travel 300 miles on a charge. But drivers still aren’t happy. They want to have everything: the ability to drive long distances while being environmentally friendly. Until there can be plug-ins at every gas station, and the prices of electric cars are in line with their gasoline counterparts, electric cars will continue to be a commuter car. But hey, any electric cars are better than none.